Savonna Nicole Atkins is an Atlanta-based painter and mixed-media artist. Through abstract paintings and embroidered textile work, Atkins explores self-concept, competition for social validation, and the absurdity of ideals. Her forceful marks, clunky knits, sheer silks, and delicate embellishments intertwine and collect with persistent intensity. Competitive struggles and absurdities of society fuel her obsessively layered process and complex forms. Through abstract paintings and embroidered textile work, I explore self-concept and competition for social validation. 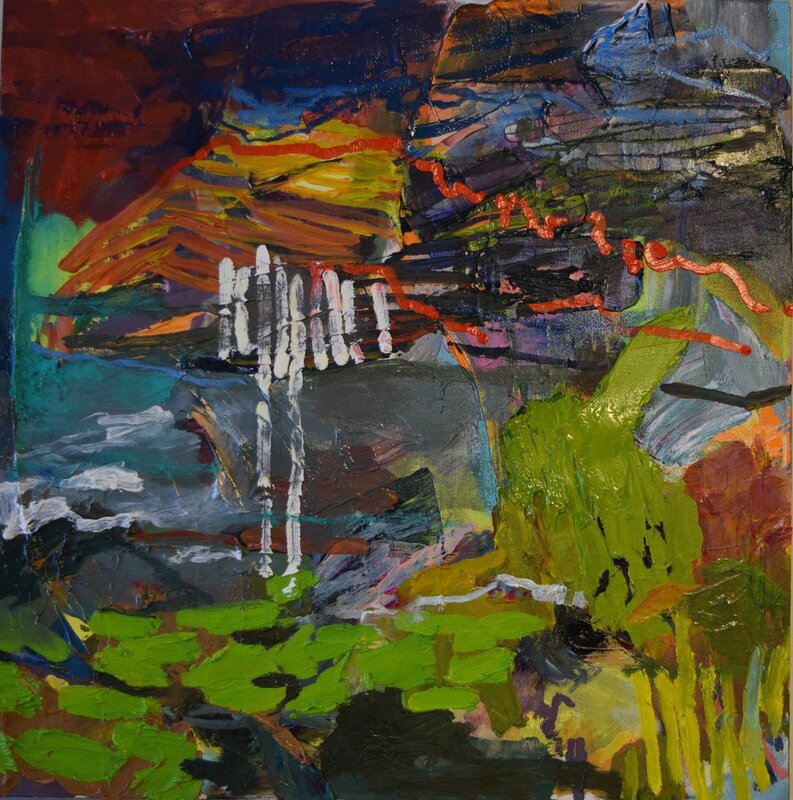 I weave paint and sculptural marks into compositions fueled by personal memories and imagined landscapes. My obsessive tendencies speak through layers of detailed stitching, linework, brushstrokes, and fabric. Stitches are sculptural lines that integrate and create strong securing connections. Whereas paint is more exclusively reserved for decoration and art, fabric is all around us and it is tied to everyday life and social circumstances. My hands cut and place fabric like smears and strokes of paint, relishing in the vast variety of textile textures. The craft of embroidery has evolved through the centuries, but it has remained an activity linked to decoration and self-improvement. Whether displayed on a dress or in the home, a piece of embroidery signifies care and cultivation. My embroidered textile pieces explore the desire to improve the self to an obsessive level. The pieces are elaborate accumulations of fabric and thread that involve great patience and dedication. My work consistently joins tangible, physical processing with abstract, mental processing. The competitive struggles and absurdities of society feed the physical actions of making. I think of my work as existing in a realm between landscape and portrait; they are artifacts influenced by the messiness of human character and environment.